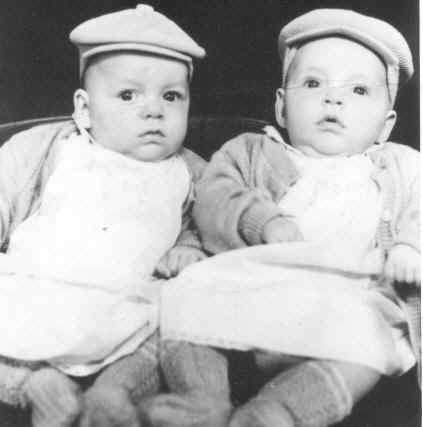 BORN AUGUST 12, 1947 IN MARYVILLE, TN, JOHN PAUL GREENFIELD WAS BORN RIGHT AFTER HIS TWIN BROTHER DON GREENFIELD WAS BORN. 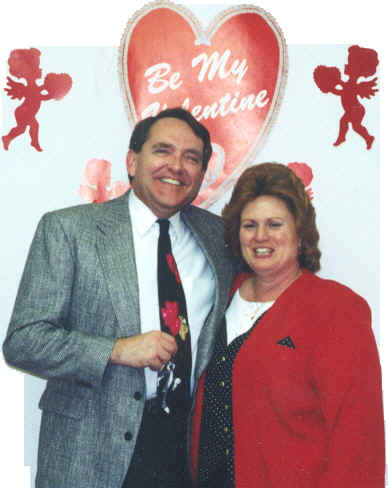 HE WAS THE SON OF THE LATE JOHN DALTON GREENFIELD AND AGNES GOAD GREENFIELD(DAWSON). 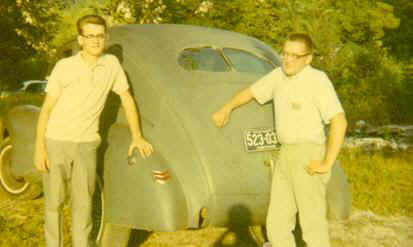 THIS IS WHERE IT ALL BEGAN, THIS IS WHERE MY DAD (RIGHT) FELL IN LOVE WITH OLD CHEVY TRUCKS. 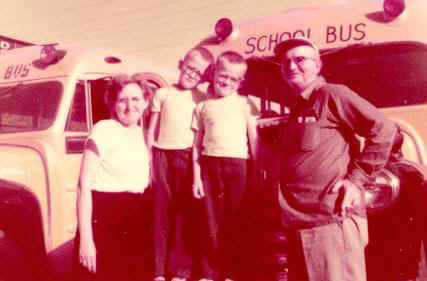 LATER THEY MOVED UP NORTH TO WHITE PLAINS, KY. NOTICED THE BRAND OF THE SCHOOL BUS. 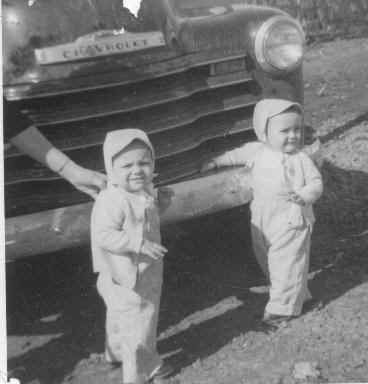 HERE IS DAD AND UNCLE DON, NEXT TO A 1940 FORD 2 DR SEDAN WITH A FLATHEAD 8. THERE IS A STORY BEHIND THIS. DAD HAD A 1957 STUDEBAKER SILVER HAWK THAT HAD A GOLDEN HAWK ENGINE. HE TRADE IT FOR THIS CAR , THE PREVIOUS OWNER, WHO WAS A FAMOUS ROD N' COSTUMIZER, HAD PROBLEMS WITH THIS 40' FORD, HE PUT IN SEVERAL ENGINES, TRANSMISSIONS, AND REAR ENDS, BUT IT STILL HAD THE SAME PROBLEM, IT ALWAYS DIED ON HIM WHEN HE WOULD GO AROUND A CORNER OR OUT OF THE BLUE. 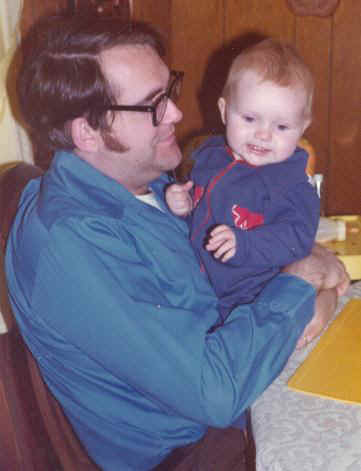 HE THOUGHT HE WAS GETTING A STEAL FROM DAD, THE DAY AFTER THE TRADE OF VECHILES DAD TOOK THE 40 FORD TO TRADE SCHOOL ONE DAY AND TOLD A FRIEND ABOUT THE PROBLEM. THIS FRIEND TOOK THE GAS TANK OUT AND CLEANED IT, THE PROBLEM WAS COKE CUPS IN THE GAS TANK, THE PREVIOUS OWNER WAS UPSET WHEN HE HEARD THE NEWS. 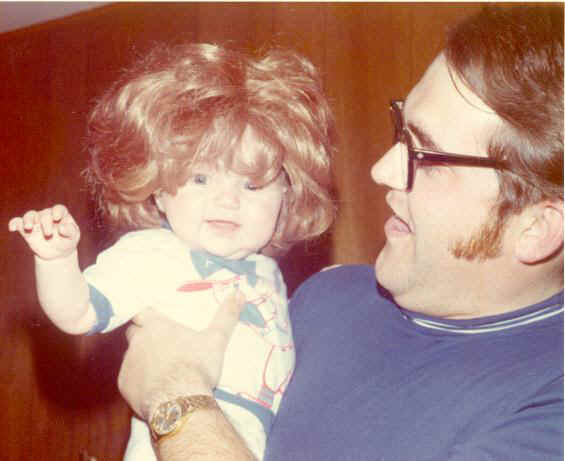 I WAS A CROSS DRESSER AT A EARLY AGE, DAD PUT THAT WIG ON ME FOR FUN, THAT EXPLAINS WHY I HAVEN'T BEEN RIGHT EVER SINCE. HEY I LOOK CUTE WITH RED HAIR DON'T I? CLICK ON PICTURE BELOW TO GO ON TO NEXT PAGE.